This foldable cooler will stay cool for hours straight from the freezer, with its freezer gel panels. 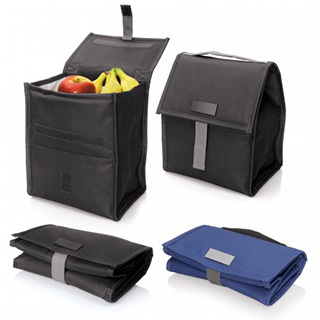 Durable 600D Polyester material, velcro fastenings and a handy carry strap make this a practical lunch accessory. Printed or engraved with your promotional logo, it will look great as a gift.